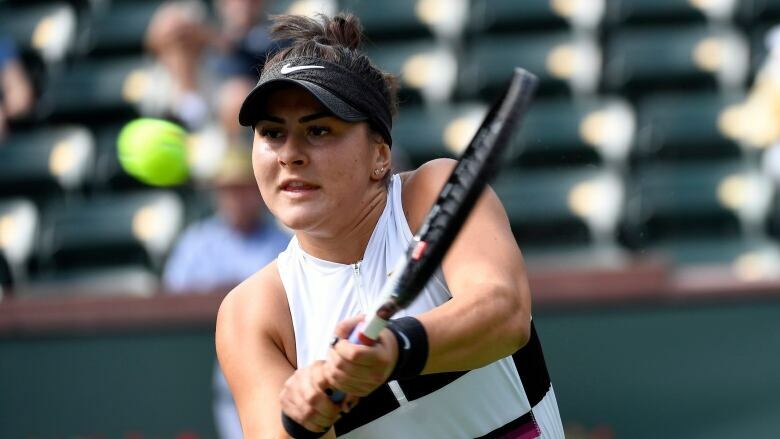 Bianca Andreescu and Denis Shapovalov, along with fellow Canadians Felix Auger-Aliassime and Milos Raonic all advanced past the weekend at the BNP Paribas Open in Indian Wells, Calif.
Canada's Bianca Andreescu didn't waste any time on Sunday at the BNP Paribas Open. Andreescu only needed 56 minutes to win her matchup against Stefanie Voegele of Switzerland, firing five aces en route to a 6-1, 6-2 victory in third-round action at the Masters-level tennis tournament. Meanwhile, Denis Shapovalov of Richmond Hilll, Ont., won his second-round matchup on the men's side against American Steve Johnson on Sunday, taking it 6-3, 6-4 in one hour 21 minutes. The 18-year-old Andreescu will meet China's Qiang Wang in the next round. The 18th-seeded Wang needed nearly three hours to beat Belgium's Elise Mertens 7-6 (4), 6-7 (4), 6-3. Andreescu, playing in her Indian Wells debut, has had a strong start to the WTA season with her latest victory improving her record to 24-3. The Mississauga, Ont., native moved up to No. 60 in the world rankings last Monday after reaching the semifinals at the Mexico Open. Andreescu won her first career WTA 125 Series event last month in Newport Beach, Calif., and is currently 15th in the Tour's overall points race. The teen was a distant No. 152 at the start of the season. Shapovalov, who fired eight aces past Johnson, joins Milos Raonic and Felix Auger-Aliassime in the third round after his fellow Canadians won on Saturday to advance. The 19-year-old Shapovalov, seeded 24th, will next play No. 10 Marin Cilic of Croatia. The 13th-seeded Raonic faces American qualifier Marcos Giron while 18-year-old Auger-Aliassime will play Japan's Yoshihito Nishioka. 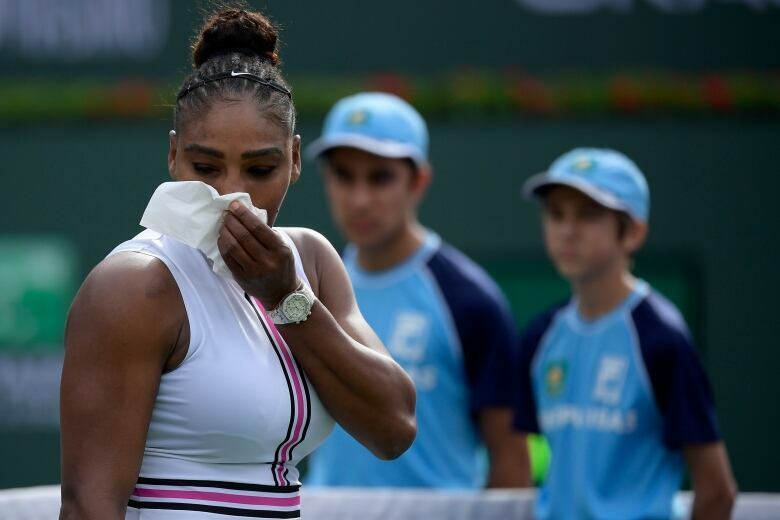 Serena Williams' return to tennis after a five-week break ended early with her retiring because of a viral illness on Sunday. "Before the match, I did not feel great and then it just got worse with every second; extreme dizziness and extreme fatigue," Williams said. "I will focus on getting better and start preparing for Miami." The Spaniard credited Williams for being "very dominating" from the start of the match. "I had to adapt a little bit my position in the court, the way I was hitting, and it took me a few games to kind of do it," Muguruza said. "Once I did it, I felt much more comfortable." Williams was playing her first tournament since the Australian Open in late January, when she lost in the quarter-finals. Other seeded men's winners were: No. 6 Kei Nishikori, No. 10 Marin Cilic, No. 14 Daniil Medvedev, No. 22 Kyle Edmund, No. 25 Diego Schwartzman and No. 32 Guido Pella. On the women's side, No. 7 Kiki Bertens and No. 18 Qiang Wang advanced.